Facebook is changing its news feed to focus more on “personal connections” in a move that will de-prioritise posts from businesses, brands and media. 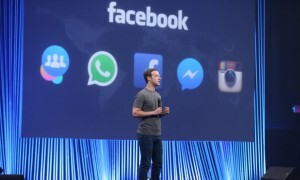 Announcing the decision in a post on the social network, Facebook CEO Mark Zuckerberg said that Facebook has always put friends and family at the core of the experience, but that user feedback indicated public posts from companies are “crowding out the personal moments”. As a result he said Facebook is making a “major change” in how the site is built, shifting its product teams’ goal from helping users find relevant content to helping them have more meaningful social interactions. “It’s easy to understand how we got here. Video and other public content have exploded on Facebook in the past couple of years,” said Zuckerberg. With the overhaul, users will start to see more content from friends, family and groups in their Facebook news feed and less public content like posts from businesses, brands, and media. Public posts that do make it through to a user’s feed will be prioritised based on whether they are likely to spark conversations and “meaningful social interactions”. Facebook said in a blog post to accompany Zuckerberg’s announcement that live videos on average get six times as many interactions as regular videos on the social network, and that many creators and celebrities who post videos to the site prompt discussion among their followers. However, it warned that using ‘engagement bait’ to goad people into commenting does not count as a meaningful interaction and this content will be demoted. It explicitly warned that Facebook pages may see their reach, video watch time and referral traffic decrease, with pages that produce posts which people don’t generally react to or comment on due to see the biggest decreases in distribution. “Now, I want to be clear: by making these changes, I expect the time people spend on Facebook and some measures of engagement will go down,” said Zuckerberg. The news comes after Zuckerberg said on Facebook’s Q3 2017 earnings call in November that while video growth will be its biggest product trend in the next three years, its goal is to foster communities around content rather than encourage passive consumption. In the US Facebook launched its Watch video platform last August. This is focused on episodic content where users can discover shows, follow creators and connect with other people who are watching an episode of a programme.